. . .I'll introduce you... Joan, here are two of my friends—Sam Gulden and Red Pearce." "Mrs. Kells, I'm glad to meet you," said Pearce. By the end of this book, I was rooting like crazy for Joan Randle. Grey made her very real. As always, his descriptions of the western landscape were wonderful. This is a story of the world famous Alden Creek gold rush, and I recommend it to anyone who likes westerns. Even consistently good authors have so-so books. 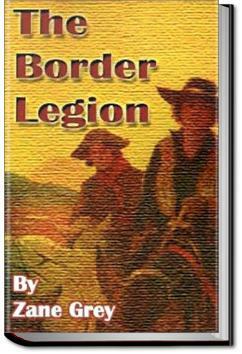 The story takes place in the mid 1800's in the Idaho/Montana area. Young and attractive Joan Randall has a spat with her boyfriend, Jim Cleve. The next day she realizes that she was too harsh with him and learns he has left the area. She decides to go after him. A kidnapped girl is forced into following the group of gold robbers until her old flame shows up. Written in 1912, it reflects its time period. The heroine is spunky and virtuous, the villains are horrible but capable of redemption. It is a fun read, especially if you want to slip away to yesteryear.